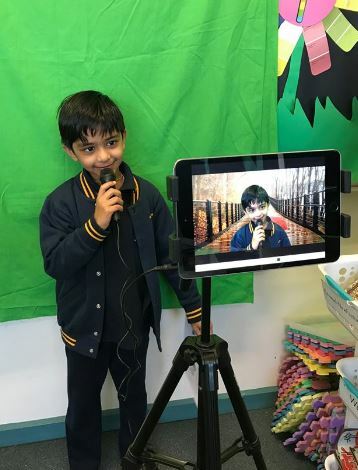 Digital Technologies is taught explicitly through a range of learning contexts including Inquiry, STEAM activities and technology rotations, as well as through English and Mathematics. Through these sessions, we aim to develop students’ understandings of the three strands; Digital Systems, Data and Information and Creating Digital Solutions. Across all levels we educate our students to be safe and responsible users of digital technologies. This includes cyber safety and using shared information ethically. Students are encouraged to think about the positives and negatives of digital technologies, and how to ensure that we are respectful users. Through STEAM and technology rotations, students learn basic functions of digital technologies, allowing them to progress to becoming makers as well as users. They use coding software such as Scratch, Code.org and other apps to develop problem solving skills. They can then apply this to making programs and games of their own. They also consider the way that computers work and think about how software and hardware interact. Teachers assess student learning and record data based on the achievement standards in the Victorian Curriculum. The use of technology resources at GWSPS is integrated into all areas of the curriculum. We have invested in more mobile devices which allow for greater flexibility in how technology is used in our classrooms. Teachers aim to include the use of these technologies in their everyday planning across all subjects. We educate our students to be safe and responsible users of digital technologies. Foundation classes have access to a mixture of desktop computers, netbooks and iPads, allowing them to begin developing the computing skills that they will use as they move forward through the school, while also giving them access to mobile technology which they use in a variety of learning activities. Students in Levels 1 and 2 have access to banks of netbooks and ipads which are used regularly in engaging learning activities both in and out of the classroom. The mobile nature of these devices means that students are able to participate in a much broader range of collaborative activities, as well as using the devices for individual research or publishing when needed. In Levels 3, 4, 5 and 6, GWSPS implements a “Bring Your Own Device” (BYOD) iPad program. BYOD refers to students bringing a personally-owned device to school for the purpose of learning. There are different models of BYOD programs. At Glen Waverley South Primary School we have chosen a BYOD model that works solely with iPads. We call it the GWSPS BYO iPad Program because the one and only device that students can bring to school is the iPad. Whilst this program is optional it is strongly encouraged that students participate in this program. Like all learning tools, the iPad is not used exclusively to complete learning tasks. It does not replace the tools we already use such as books, pens, paper, netbooks and desktop computers. The iPad is a companion device. The advantage of the iPad is its mobility and ease of use. It is the perfect tool to help students expand their learning experience by providing them with an instant gateway to a multitude of resources. The iPad also allows students to document and reflect on their learning in a range of exciting ways. Mathletics and Reading Eggs are subscribed by the school for students use in class and at home to develop their skills in Mathematics and English. Students in Levels 3 to 6 have the opportunity to participate in Robotics classes run by the ICT Captains and facilitated by our ICT Coordinator. These classes are based around the Lego education kits Mindstorms, Simple and Powered Machines and the Green City Challenge. Robotics classes help develop the students' analytical thinking, problem solving and introduce them to basic programming language as they write and test simple computer programming language to get their creations moving.